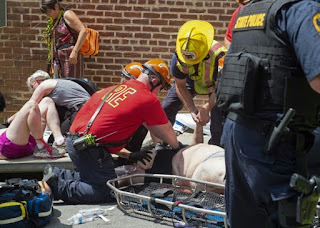 But as the death toll linked to the rally rose to three - one in the car crash and two in a helicopter crash outside Charlottesville - the president’s apparent refusal to criticize far-right hate groups sparked sharp criticism, even from members of his Republican Party. Virginia Governor Terry McAuliffe had already declared a state of emergency when a dark sedan surged into a crowd of what witnesses said was counter-demonstrators in the picturesque university city of Charlottesville. 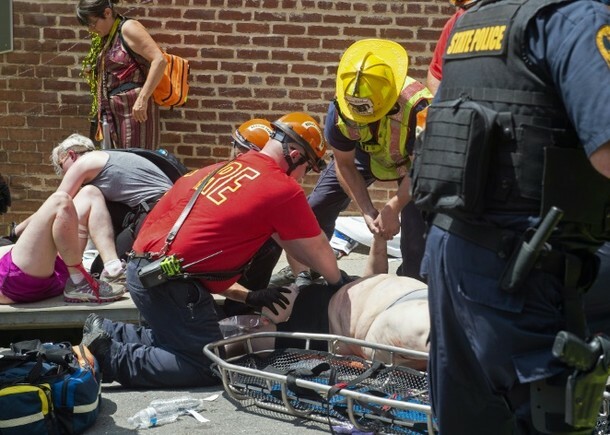 Another 16 people were treated for other injuries linked to the rally, including from “individual engagements,” Charlottesville police chief Al Thomas said. The cause of the helicopter crash, which occurred in a nearby wooded area, was under investigation, Virginia State Police said. 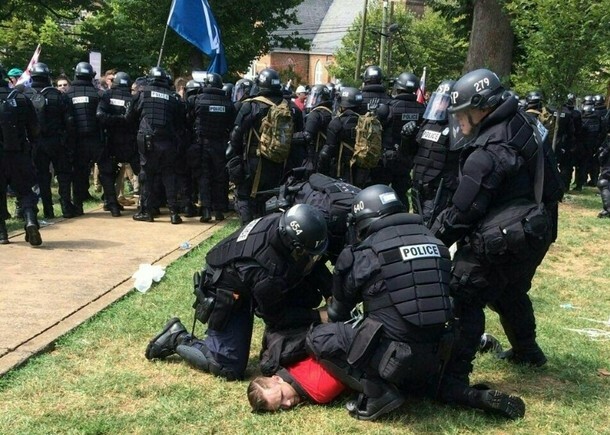 Hundreds had descended on Charlottesville either to march in or rail against a “Unite the Right Rally.” Unrest quickly flared even as riot police and national guard troops flooded the city’s downtown. White far-right supporters, some wearing hats with Trump’s “Make America Great Again” slogan and others in riot gear with shields and batons, faced off against counter-protestors as each side hurled projectiles at each other before overwhelming the police positioned between them. 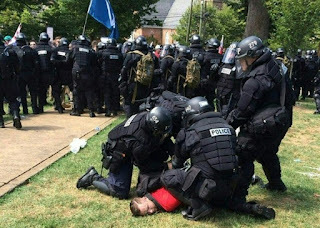 State police swooped in with tear gas as one counter-protestor who was repeatedly pummeled with sticks and a metal pole was left bleeding profusely. The male driver was taken into custody and police were treating the incident as a “criminal homicide,” the police chief said. 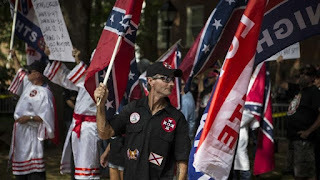 But the president stopped short of condemning white nationalist and supremacist groups, and ignored shouted questions from journalists about the groups, which broadly supported Trump in last year’s election. But a few prominent Republicans piled on and were more direct in their criticism. “Very important for the nation to hear @potus describe events in #Charlottesville for what they are, a terror attack by #whitesupremacists,” Florida Senator Marco Rubio tweeted. 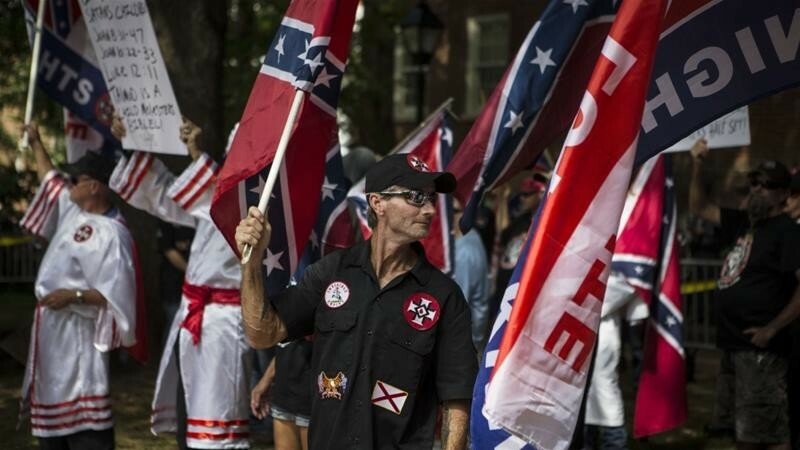 Saturday’s far-right rally follows a much smaller demonstration last month that saw a few dozen Ku Klux Klan-linked marchers gather to protest Charlottesville’s planned removal of a statue of General Robert E. Lee, who led Confederate forces in the US Civil War. This time, the extreme right brought in big names of the “alt-right” movement - which has been emboldened, critics say, by Trump’s ascent to the White House - in a bid to attract more supporters.